Jack and Coke may seem simple and unsophisticated to some people, but it’s damn good, and there’s five ways to mix it for five different tastes. — Fill a tall or Old Fashioned glass with ice. Pour in the Jack. Gently pour in the Coke. Garnish with nothing. 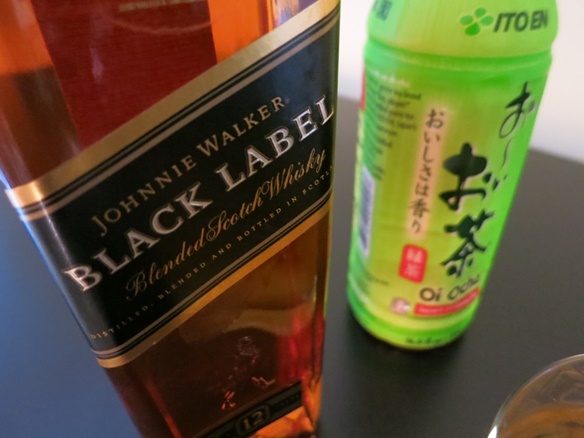 This is a balanced mix of Jack taste & Coke taste. Ask your bartender for a 4-to-1 ratio or mix. Other mixes with 7 ounces and 9 ounces of Coke aren’t so good, for some reason, 8 ounces is perfect. If the bar pours only 1½ ounces of Jack for a drink, then ask for 6 ounces of Coke. 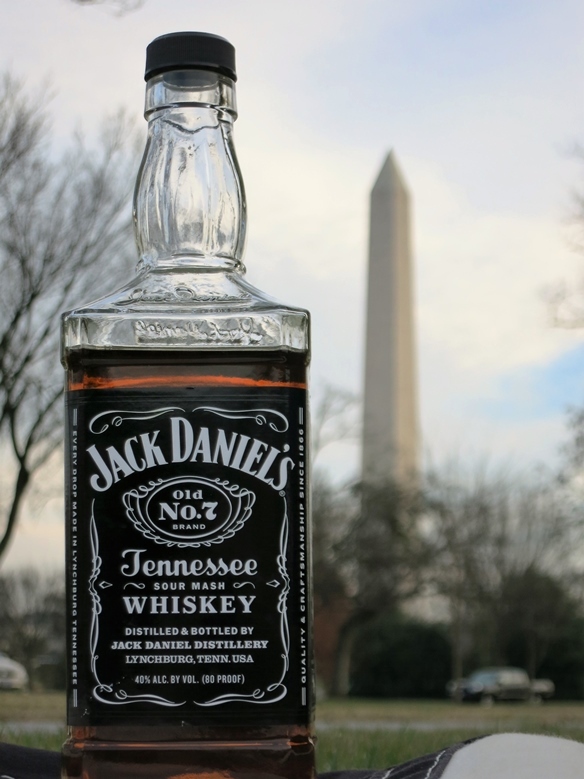 Recommended by the Jack Daniel Distillery, and brings the taste of Jack Daniel’s Old No. 7 to the forefront. Strong, but not too strong. It’s a 3-to-1 mix. If using 1½ ounces Jack, add 4½ ounces Coke. There’s just a hint of the taste of whiskey. A 5-to-1 mix. If using 1½ ounces of Jack, add 7½ ounces Coke. I like this one a lot, it has a slight caramel taste. Coca-Cola from Mexico is bottled with sugar, and tastes better with alcohol than corn-syrup Coke. Many drinkers will enjoy Jack with a splash of Coke. What’s a splash? It’s a bartender’s one-count, and since a 4-count is an ounce, that’s about ¼ ounce. 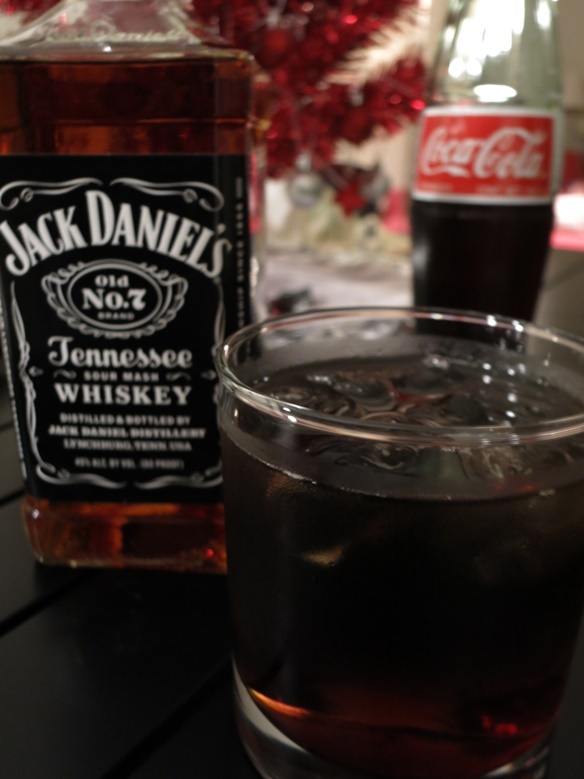 Jack Daniel’s just has the right stuff, and it’s better than expensive bourbons when mixed with Coke. The only whiskies that come close are Wild Turkey 101 and Crown Royal. Found this American Icon at Schneider’s of Capitol Hill, my favorite liquor store ever. In England, this drink is called JD & Coke, and in the rest of Europe it’s a Whisky Cola. Serve a glass of cold water with every drink, to reduce consequences. Achtung! New, better, cheaper recipe! The FiveThirtyEight website used scientific data to find The Best Margarita. It is better than our previous recipe, but we made it even better by adding some lemon juice to smooth out the harshness of lime juice and tequila. There is no need to use expensive tequila. Cointreau is also expensive, but any triple sec will do. You can make these Margaritas a little better with premium tequila, but that’s up to you. — Mix together equal parts of fresh lemon juice and fresh lime juice. Add the tequila, orange liqueur, and 3/4 ounce of the lemon/lime juice mix to a shaker with ice. 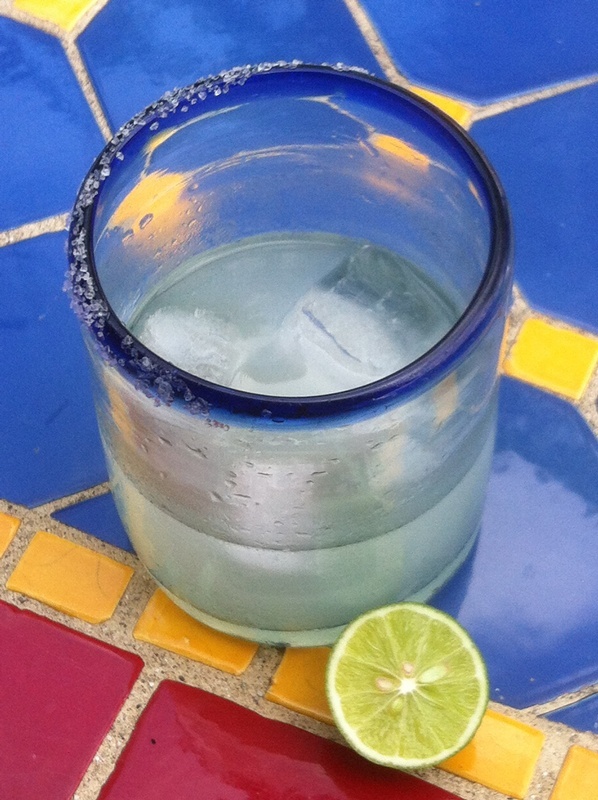 Shake until chilled, and serve in a glass with ½ of the rim salted Garnish with a lime wheel on the rim of the glass. 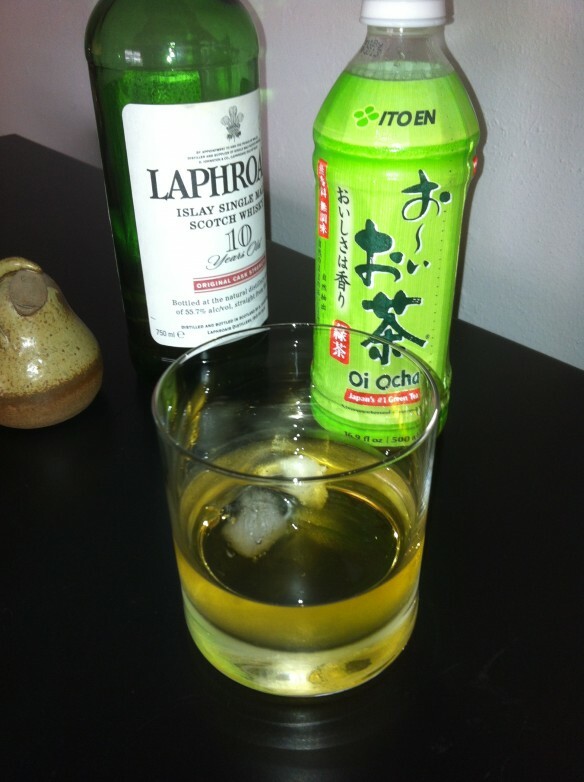 This drink is good with the usual ¾ ounce of lime juice instead of the ¾ ounce lemon/lime mix. For pitchers of frozen margaritas, pour 12 ounces of tequila, 2 ounces of triple sec, 3 ounces of fresh lemon juice, 3 ounces of fresh lime juice, and 2 ounces of agave nectar into a blender with 3 or 4 handfuls of ice, and blend on high speed. 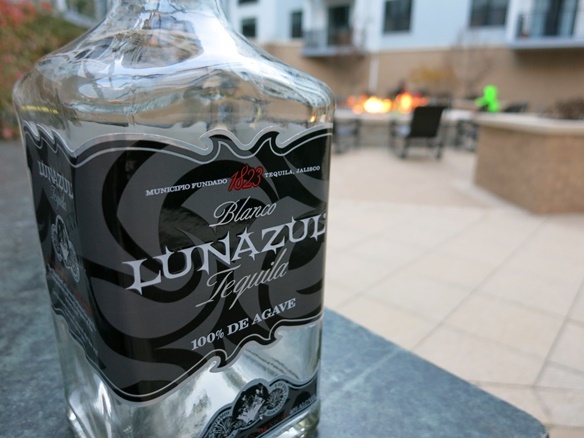 Lunazul costs about $20 and deserves all of its prestigious awards. Olmeca Altos is also a good bargain. Agavales mixes very well and costs under $15. DeKuyper O3 Orange is half the price of Cointreau and works better than Cointreau with these Margaritas. Other tequilas in the $20 range we’ve tested are Campo Azul Reposado (the gold one). Espolon makes a smooth, sweeter margarita with a milder taste. Other highly-rated tequilas in this price range include El Padrino and Pueblo Viejo. Sauza Hornitos Reposado (gold) is popular in Mexico, and will give you an enjoyable burn. If you want a Premium Margarita, use a more expensive blanco Tequila like Milagro. For Strawberry Margaritas, add 2 fresh or frozen strawberries per drink, before mixing. Fancy glasses or garnishes not required. UPDATE: a considerably better American Spearmint recipe, after the Cuban Hierbabuena recipe. My first Mojito was made with spearmint. The drink was pretty good, but the taste seemed a little bit off. Maybe it was the wrong rum, I thought, doesn’t mix well with mint. Weeks later I received a surprise visitor from Cuba, who brought me a souvenir paper napkin with a Cuban bartender’s handwritten recipe from the most popular Mojito spot in Havana. “What’s hierbabuena?” I asked, “Is that spearmint? “No. The Cuban mint isn’t very minty,” he replied. I made him a spearmint Mojito, and he said it was not the Cuban taste. I Googled hierbabuena, and ordered some from a Canadian nursery. The mint has a citrus-like flavor that comes from the stem, whereas spearmint has a minty flavor from oils in the leaves. Spearmint smells like chewing gum, but hierbabuena has an herbal fragrance with just a hint of mint. The Mojitos they make are completely different, so here are recipes for the Cuban Mojito (hierbabuena) and the American Mojito (spearmint). Add the sugar, lime juice, and hierbabuena with a splash of mineral water to a tall glass. With a muddler or a wooden spoon, press lightly on the stems, rather than the leaves. Add the 2 ounces of mineral water, then the ice cubes, then the rum. Serve with a straw, cut off to about 2 inches above the rim of the glass. If you put 2 teaspoons of sugar in this drink, it’s noticeably sweet. Cubans often add a dash or two of Angostura bitters to this drink, and it’s good! Many Cuban and Caribbean cocktails taste better if they are made with Key lime juice. Key limes can be found in Latino markets and most Walmart stores in the United States. Regular limes aren’t as good in this drink, but they’re good enough. A better taste, if you don’t have Key limes, comes from mixing 2 parts of lemon juice with 3 parts regular lime juice. Use ¾ ounce of this mix, with 2 teaspoons of sugar and 3 ounces of mineral water. Bacardi Superior is the original rum for this drink, and it’s recommended. Havana Club 3 has a stronger sugarcane taste, and is the preferred rum in Cuba. Gold rum will make a slightly sweeter “dirty mojito”. This hierbabuena recipe is adapted from La Bodeguita del Medio, the famous bar in Old Havana, Cuba. Click on link below to order hierbabuena from Richters herb farm in Canada. Gently muddle the stems, not the leaves. 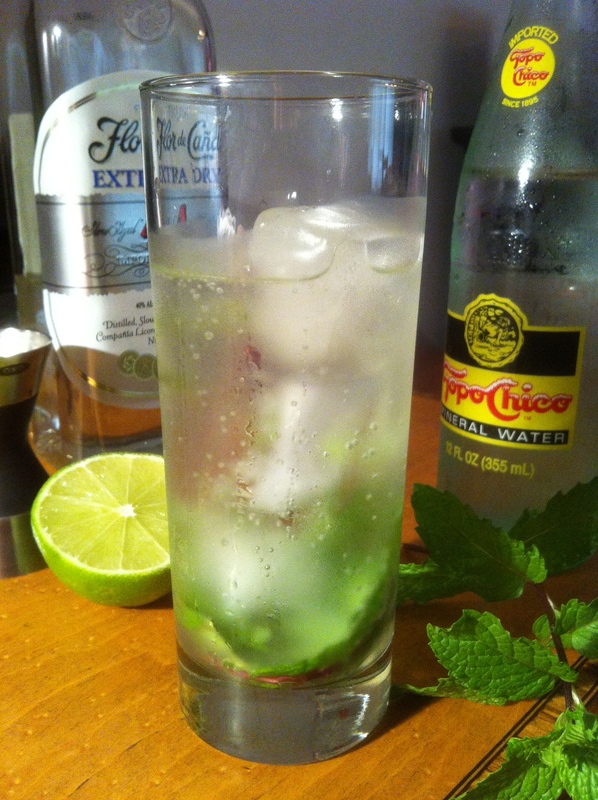 — Muddle the spearmint, lime juice, and lime wedge in a mixing glass. Add the simple syrup, rum, and 3 large ice cubes, and shake until chilled. Pour all of the contents of the mixing glass into a tall glass or Collins glass, and add 2 ounces of Topo Chico or other sparkling mineral water. 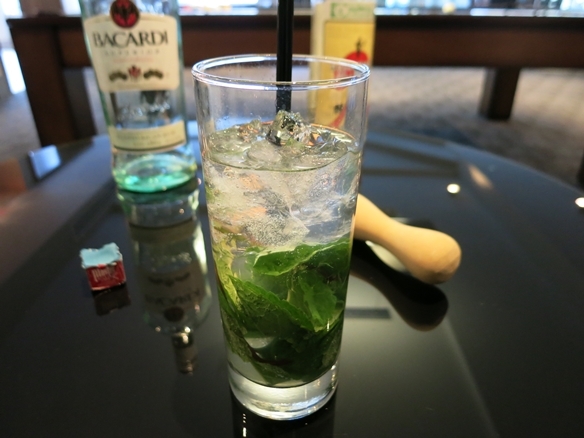 Garnish with an optional mint sprig, and serve with a straw. Do not muddle spearmint stems in this drink, because, unlike hierbabuena, the stems have a bitter taste. Check your local nursery, as some of them are now providing mojito mint. Note: The Bonnie brand mint being sold as Yerba Buena at Lowe’s and Walmart is spearmint (mentha spicata). 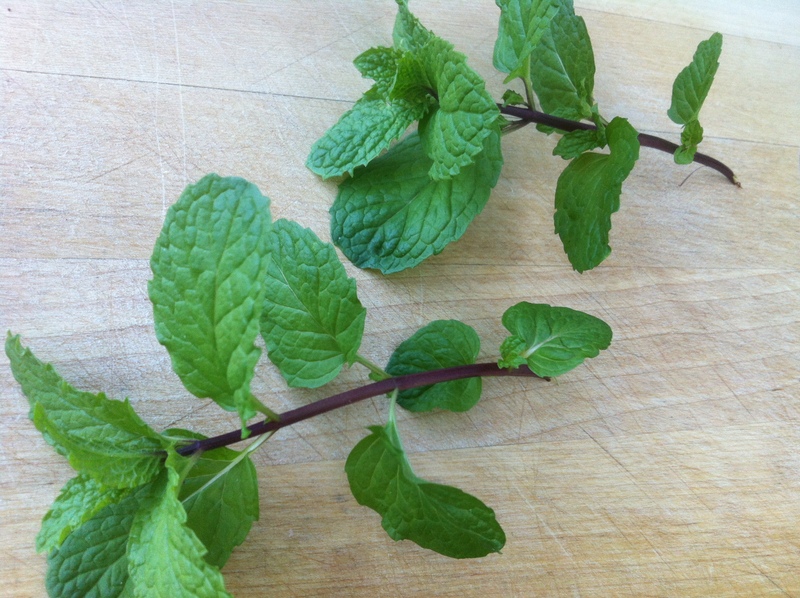 Cuban Mojito Mint is mentha villosa. Like spearmint, hierbabuena (also called hierba buena, yerba buena, or yerbabuena) grows like a weed, and is harder to kill than to grow. However, there’s a way to get better sprigs. Use a 10-inch or larger pot. If planted in a garden, confine the roots, or they will take over the garden. The plants like lots of water, but don’t waterlog them. Let plants dry out a little before watering again, to develop more flavor. Keep plants cut back to 10 or 12 inches tall, or it will get spindly and ungle. I keep most of it cut back, except the sprigs I plan on using. Hierbabuena grows best in the sun or partial shade. In hot summers, it likes morning sun or partial shade. Planting in pots allows you to move them around. After cutting sprigs, be sure to rinse them before using, or you may get a cute tiny spider in your drink. If the leaves are chewed up, or have holes, look for little green worms on the undersides of leaves. They’re hard to find, as they match the color of leaves and stems. If the leaves on top are curled up, check for tiny aphids, which are tiny and black-colored. They cluster together at the tip of a few sprigs, so pinch off the affected sprigs and stomp on them. If aphids get overwhelming, soak the entire plant with Neem Oil Spray, and then wait for new mint sprigs to pop up before cutting off the sprigs that had been soaked in Neem Oil. When white spots or streaks appear on leaves, it’s usually tiny spider mites. Spray plants with vodka, or 1 part alcohol to 4 parts water, during a time when the plants are in the shade. The spray will also reveal the mite’s tiny webs. Use Neem oil to stop them from breeding. To get rid of whiteflies without pesticides, place a bright yellow piece of cardstock or plastic coated with motor or mineral oil, and the flies will be attracted to it and get stuck on it. Use Neem Oil to stop them from breeding. When the roots fill the container, slice down the middle of the dirt with a sharp knife. Remove 1/2 of the root ball and replant it in a separate pot (give it to a friend) or toss it out. Fill the empty half of the pot with new soil, then water. If the whole plant looks raggedy, cut it all back to soil level. It will grow back. In hotter climates, the temperature will get hotter than Havana in July and August. Keep the plant in a shady area, and cut back sprigs that look too spindly. In freezing climates, say Chicago, the mint will grow back in the spring, if it’s planted in the ground and not in a pot. You can also keep a plant indoors, in a south-facing window. The plant will not thrive, but it will live until you put it outside in the spring. The Bourbon Julep was born here at the Willard Hotel in Washington DC. While Maker’s Mark Bourbon, with its wheated sweet taste, remains the popular choice for this Kentucky Derby Day classic, there’s another bourbon that we prefer when mixing this cooler for Derby parties, or just any hot summer afternoon. 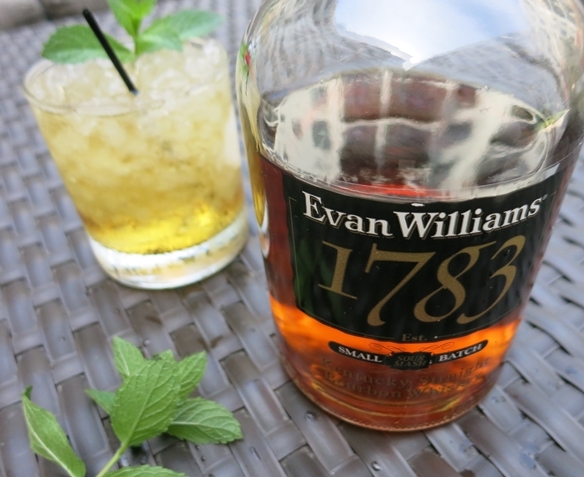 Evan Williams 1783 adds a mild and tasty oak flavor, and a much better price. Lots of crushed, cracked, or powdered ice, or better yet, Sonic Drive-In pebble ice. — Add the simple syrup and mint leaves to a mixing glass. Press lightly on the mint leaves with a muddler. Add the bourbon, and stir well. Fill an Old Fashioned glass or silver Julep cup with crushed, cracked, powdered, or pebble ice. Strain the contents of the mixing glass into it. Add more ice to the top of the julep cup or glass, and make a mound of ice on top of the drink. Insert a sprig of spearmint into the mound of ice. Dust the top of the ice and mint with powdered sugar, if you wish. Cut off the bottom of a straw so that the top of the straw is 1 inch above the rim of the julep cup or glass. Serve, and as the Southern novelist Walker Percy relates, “Then settle back in your chair for a half an hour of cumulative bliss”. To make simple syrup, add equal parts of white sugar and good-tasting water to a jar with a tight lid. Shake vigorously, rest 5 minutes, shake vigorously again, and rest 5 more minutes. Or you can bring the sugar and water to just below a boil in a pan, and let it cool. Maker’s Mark and Evan Williams 1793 are standard around our porch, but Old Grand-Dad 100, and Old Forester Signature are also recommended bourbons. Generally speaking, the sweetness of “wheated” bourbons taste best in a Julep. Don’t be fooled by the party price. This bourbon makes a fantastic Julep. Sonic Drive-In sells bags of ice from their drive-thru windows. The pebble ice is perfect for Juleps, Daiquiris, and Margaritas. You can also make powdered ice by using a Lewis bag, or putting ice into a clean canvas tote bag and smacking the ice-filled bag with a wooden mallet. The key to delicious low-price coffee is to go with a darker roast. The flavor caused by roasting brings out a good taste from less-expensive coffee beans. In fact, expensive espresso roasts are usually made with inexpensive beans. 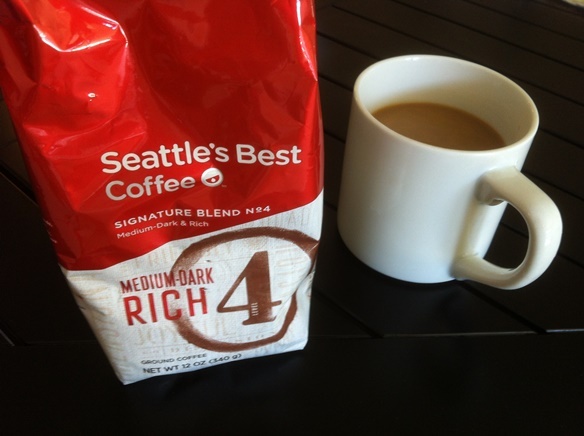 The hidden treasure on the bottom shelf of many supermarkets is Seattle’s Best Number 4 Roast. It’s roasted just enough to be delicious, but not enough to get a burnt taste. The No.4 is basically an Italian roast, which is parent company’s Starbucks best-selling roast. I tried a Number 2 roast, but it tastes cheap. The Number 3 was okay, but really, Number 4 is the sweet spot of this line of coffee. The Number 5 is basically a French roast, and it smells good. It tastes good too, and is an excellent choice for mixing with hot milk to make French-style cafe au lait. For a dark roast, Café Bustelo is supreme . It’s café espresso molida, which means roasted and ground for espresso, but despite the fine grind, Café Bustelo makes a complex and reliable cup of dark drip coffee. While a Dark ‘n Stormy conjures visions of soft sand and turquoise seas of the sunny Caribbean, it also has subtle flavors of northern winter spices, so it’s enjoyable all year round. The Dark n’ Stormy name comes from the way the drink is made, with the ginger beer poured first, followed by Black Seal Rum floated on top. The dark rum drifts slowly down into the bright ginger, suggesting the look of an approaching thunderstorm. — Slowly pour the ginger beer into a highball glass. Add ice, but leave room for the rum. Gently pour the rum down the inside of the glass. Serve with a straw. For a holiday taste, try sipping the flavors of the dark rum float, before it mixes into the drink. Just a blush of ginger livens up the first tastes of Black Seal. In Bermuda, lime is not included. A wedge or slice of lime is an attractive garnish, but lime juice can interfere with the subtle taste of ginger and rum. Nevertheless, many people enjoy it, so have lime wedges available. Barritt’s is the best ginger beer for this drink. Gosling’s Ginger Beer in a bottle is made with sugar, but avoid the stuff in cans, which is made with corn syrup, which dulls the flavor of rum,. Many ginger beers, other than Barritt’s or Gosling’s, contain capsaicin from chile peppers, which gives the beers a nice burn, but it can detract from a Dark ‘n Stormy. Barritt’s Bermuda Stone Ginger is available at Total Wine and many Kroger supermarkets. Serve a glass of cold water with every drink, to reduce consequences. The Manhattan Cocktail was originally made with rye whiskey, but rye disappeared for many years after Prohibition. While it was gone, most Manhattans were made with Kentucky bourbon. While bourbon makes for a sweet good Manhattan, rye whiskey adds a solid spicy kick. The stronger the rye, the better. — Combine whiskey, vermouth and bitters in a mixing glass with ice. Stir 40 times, and strain into a chilled cocktail glass with the cherry placed in the bottom. A wisp of a lemon peel adds a subtle tang. With 3/4 ounce of vermouth you’ll taste whiskey more, but increasing it to 1 ounce tips the taste toward vermouth. Try it both ways. 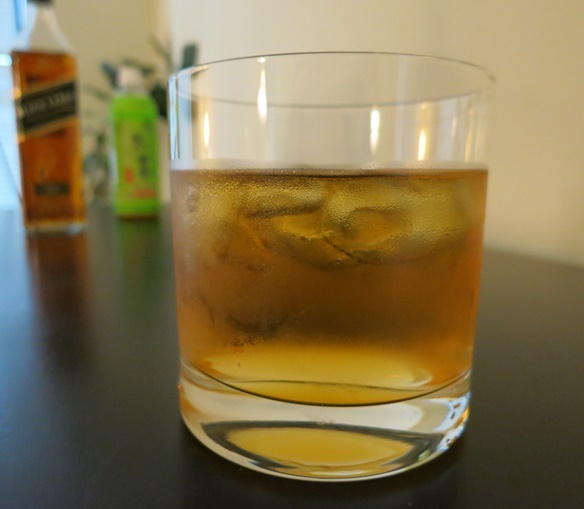 A simpler option for preparation is to pour whiskey, vermouth and bitters over ice in an Old-Fashioned glass, and stir. Rittenhouse 100 Rye is the preferred rye for a Manhattan, when mixed with Martini & Rossi or other Italian vermouth. High West Rye is also recommended. For an impressive Manhattan, Carpano Antica, one of the most complex Italian vermouths, is highly recommended. I’ll guarantee it’s worth the added expense. Since bourbon is a little sweeter than rye, Dolin Rouge French Vermouth is preferred over Italian vermouth for a bourbon “Southern Manhattan”. After a vermouth bottle is opened, it should be consumed quickly, or stored in the refrigerator, where it will last a month or more. Write the date that you opened it on the label. Better yet, to keep your vermouth from slowly turning into herbed vinegar, pump out the air with a low-cost Vacu Vin, and the vermouth will stay fresh even longer. One taste of Tanqueray Gin and Fever-Tree Tonic, and you’ll know why it’s the most popular mix in Spain. Never mind the traditional lime garnish, this cocktail tastes better with a lemon wedge. And the Spanish don’t stop there, adding all manner of spices, herbs, and fruit to their “Gin Tonics”. Fill a highball or Collins glass with ice. Pour in the gin, and listen for the crackling sound. Gently pour in the tonic. Squeeze the fat wedge into the glass, and drop it in for garnish. 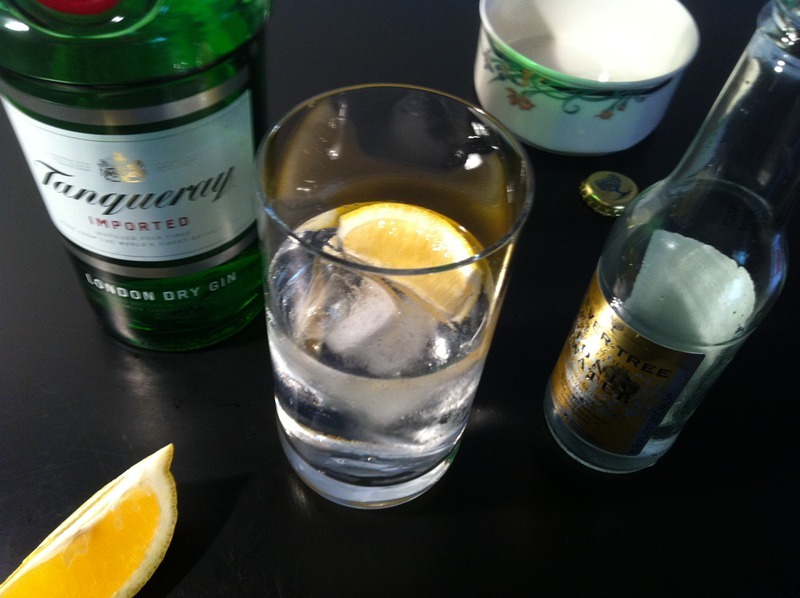 Notes: 2 ounces of tonic makes a gin-strong drink, 2½ ounces has good balance, and 3 ounces brings out the tonic. Canada Dry Tonic is made with corn syrup rather than sugar, but tastes very good with Tanqueray. Also, Q Tonic is very popular, and goes well with Bombay Sapphire as well as several other gins. Fever-Tree is now widely available in supermarkets, Cost-Plus World Market, and Whole Foods. Citadelle Gin is also recommended for this drink. To make a Spanish Gin Tonic, use a globe-style round Burgundy wine glass, and add lots of ice. Pour in 2 ounces of gin, and 4 or more ounces of tonic. Lemon or lime juice is added, along with peppercorns, grated nutmeg, star anise, or cardamom pods. The most important element of a premium Margarita is the lime juice. Key limes, also known as Mexican or West Indies limes, are important. They can be found in most Latin or Asian supermarkets, and in the exotic produce section of many other markets. This shaken margarita is a mix of accclaimed tequila, Cointreau, and Key lime juice that balances the sweet, sour, and spirits with no added sugar. 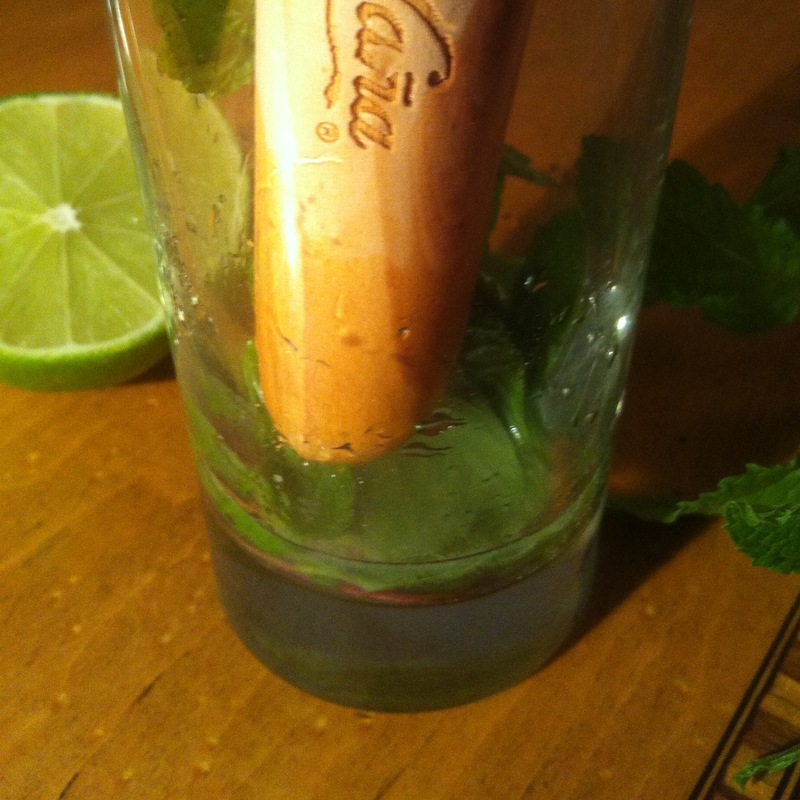 — Hold a tumbler glass upside down, and rub a cut lime on one half of the rim. Dip, but don’t twist, the outside of the wet rim into a dish of Morton Sea Salt. Pour tequila, Cointreau, and lime juice into a mixing glass with ice. Shake 40 times and strain onto ice cubes in the salted glass. If you can’t find Key limes, then a mix of 2 parts lemon juice with 1 part regular Persian) lime juice is better than pure Persian lime juice. Recommended tequilas are Milagro, Herradura, Avion, Pura Vida, Siembra Azul, Dos Lunas, Tapatio, Patron, and Corazon. A few reposado (gold) tequilas mix well in margaritas, such as Dos Lunas and Izkali. Expensive tequilas like El Tesoro or Don Julio are better left for sipping. The Cointreau can be replaced with Marie Brizard Triple Sec or Combier, but they’re harder to find. Grand Marnier is made with cognac, so it adds that taste, as does Ferrand Dry Curacao. Patron Citronage is not recommended. Premium shaken margaritas are great for tiny gatherings, but if you have lots of people, they take too much time to prepare. Replace them with these tasty Cheap Margaritas. Guests will be pleased, and so will you. If you want strawberry frozen margaritas, just add two fresh or frozen strawberries per drink before blending it.